Phone Systems for Small Business use have made vast improvements in the past years. Gone are the days of having to have huge bulky systems in house to take care of your call center. Now you can have great access to quality services and Call Center Solutions with an easy to use digital system. You will discover that business call center telephone systems have come a long way since the beginning and there are so many wonderful additions you can add. Take a look at some of the ways you can enhance your call center use with these great digital products. This is a great way to get your callers where they need to be quickly. You can choose to have the calls routed by a variety of factors. If you choose you can have callers routed to specific agents by their phone numbers, account numbers, time day or even the preference of an agent. These are just a few of the ways you can have your incoming calls routed. This helps to cut down the time your customer is waiting for an agent and helps them get where they need to be the first time. This program also offers call reports for supervisors. This lets them see how the calls are being handled, the time frame of the calls and how the agents are doing for each call that comes in. You are also able to record calls that come in so that you can play them back for training or to make sure the quality of care your customer receives is up to par. If you want to give your customers more than one way to communicate with you this is one way to do that. Some customers just do not like chatting on the phone or they need to contact you at different times of the day. Offering an item called web chat can help them do just that. This service works great for you and your customer. Your customer can start an instant message conversation and discuss an issue they may have with your company. They can also request a call back so your employee can call them at a time convenient for the customer. 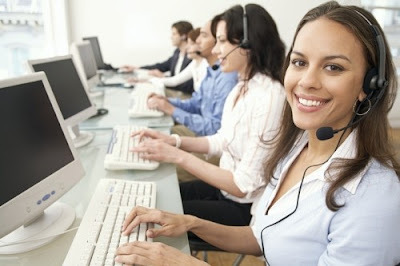 Using this type of call center solution for your business can greatly improve your customer satisfaction. You can give them multiple ways to contact you and get the help they need for their problems or questions. You can improve your call time and answer time as well by implementing these top notch systems into your business. With the wide variety of services offered you can route calls faster and handle customers more efficiently. This will also cut down on the time they have to wait on being transferred to the right customer agent. Be sure to check out all the ways these call center solutions can enhance your small business and keep both you and your customers satisfied with the level of care they are receiving.